31. spare 32. Castleton - The village street, buildings, trains, activities, environs and animals! A few Esk Valley Railway Line Connections! 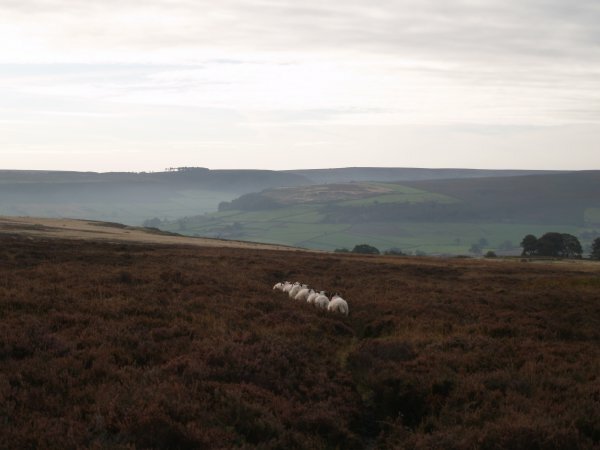 "Ten Scenic Walks around Rosedale, Farndale and Hutton-le-Hole" by J. Brian Beadle. The Dalesman mini-book "Exploring the North York Moors" by Malcolm Boyes is a useful location summary guide. Enter place of feature: village, town, city, walk, feature, church, building, museum, anything of interest!